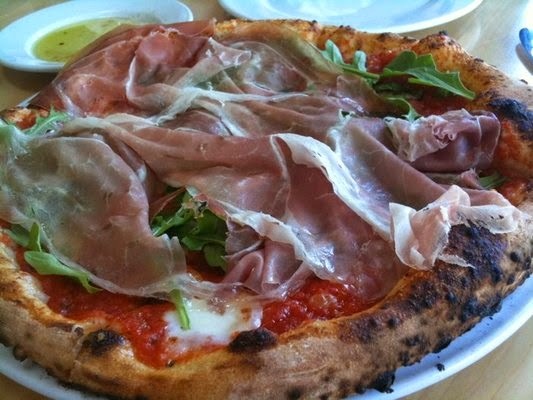 I recently visited Pizzeria Ortica in Costa Mesa for some good ol' pizza and Italian food. I grew up on this type of food so I would arguably say I have a pretty good palate when it comes to Italian. Pizzeria Ortica pleasantly surprised my expectations, but the service did not. My family was in town so we all got together for a meal, and I chose this spot. It had gotten mixed reviews on yelp, but like I said - I love Italian. The food was really good. The pizzas are huge and very tasty. 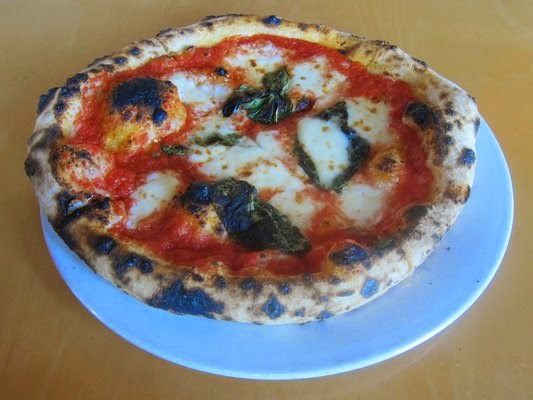 They are Napoli style so they are thin crust and baked in an old oven. The Marguerite was probably the best - plain old traditional style, but the sausage ones were quite good too. I got the mussels which were probably the worst thing that we ordered. 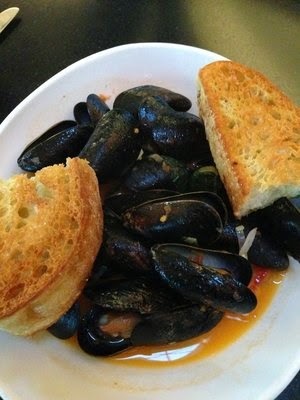 The sauce was unreal, but the mussels themselves were pretty chalky (luckily I didn't get sick). Dipping bread or pizza crust into my sauce was enough to fill me up. The appetizers were really quite spectacular - meatballs, bruschetta unlike any I have ever had (cannellini beans on bread? ), pork cheek, and my favorite - prosciutto, peaches and burrata. 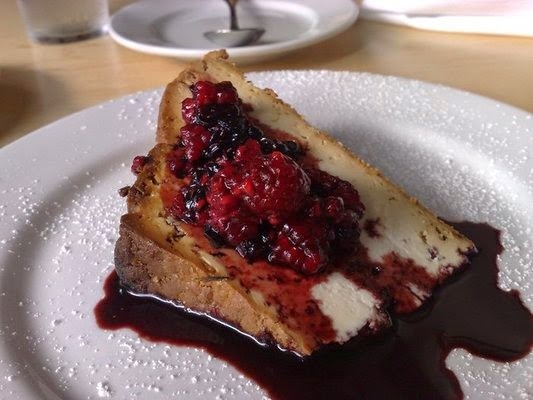 For those who have never had burrata cheese, you are missing out. Labels: Costa Mesa, Los Angeles, Oh you Fancy, What's for Dinner?